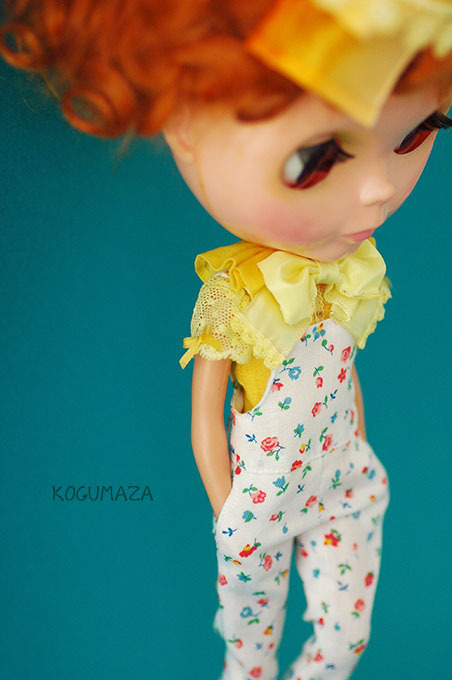 Original print one-piece, ribbon tie, socks. 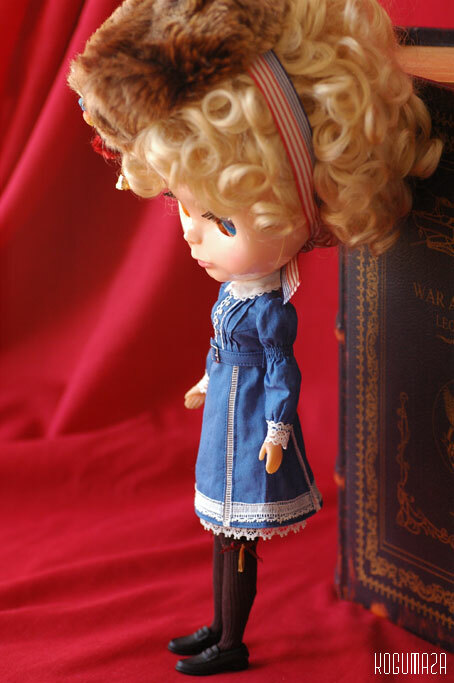 Separate sale: original parfait hair combs. 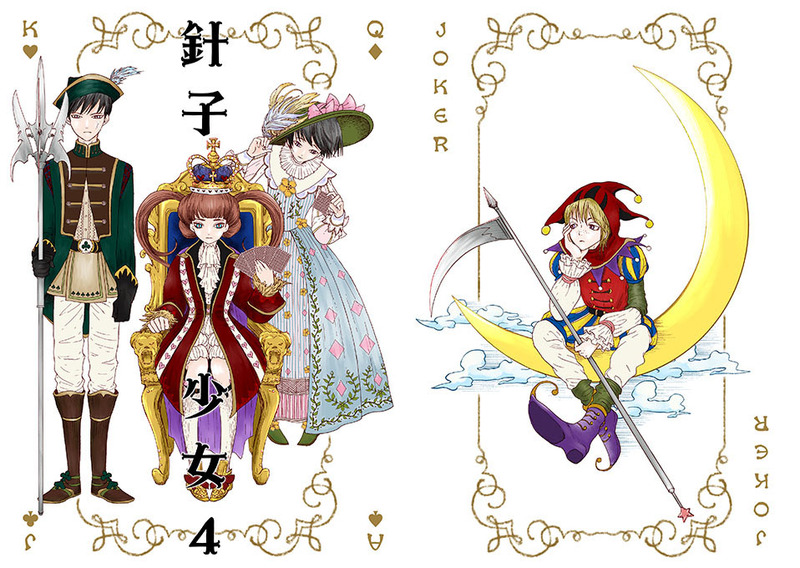 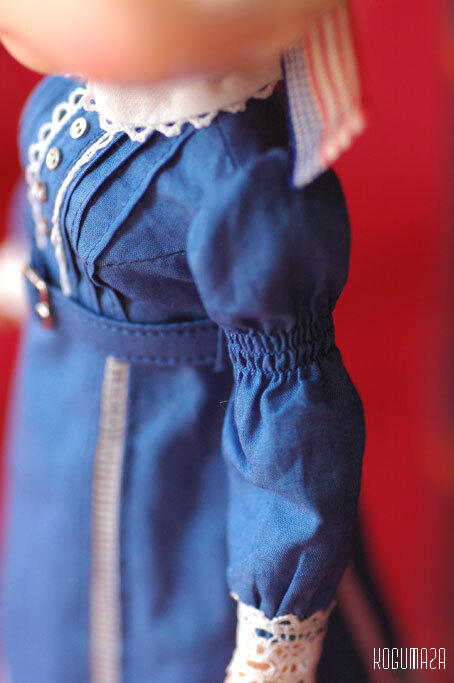 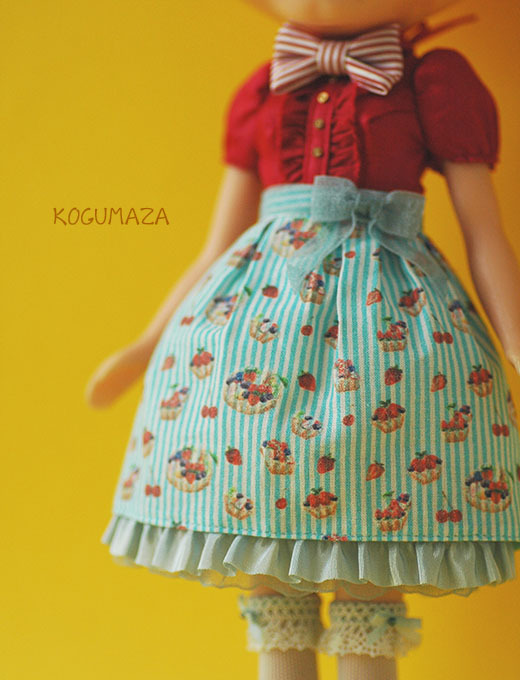 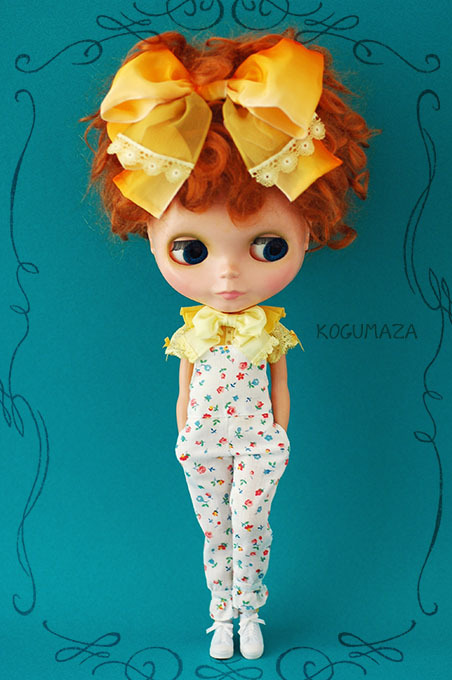 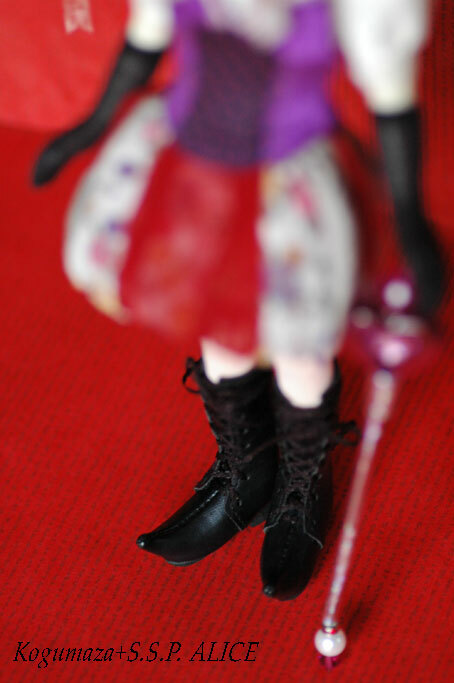 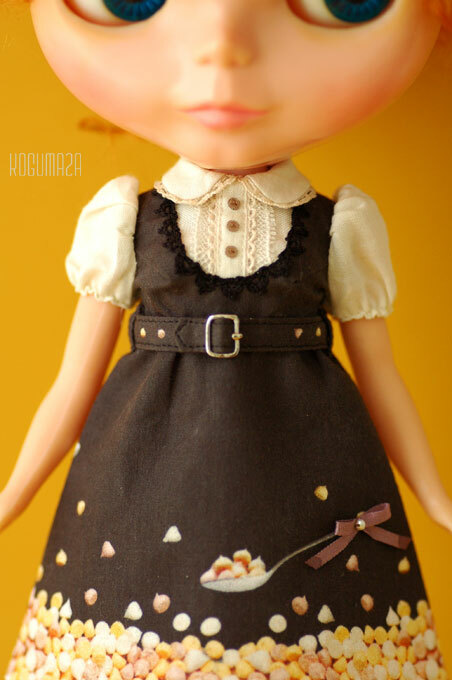 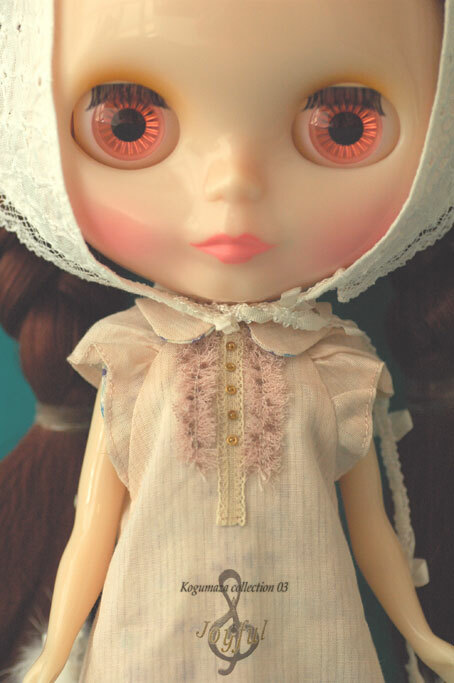 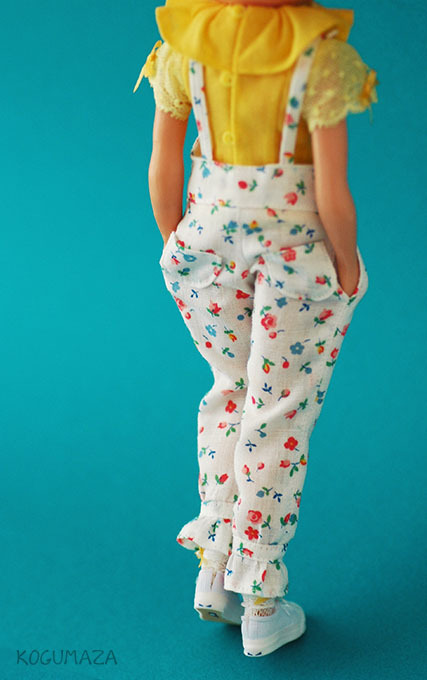 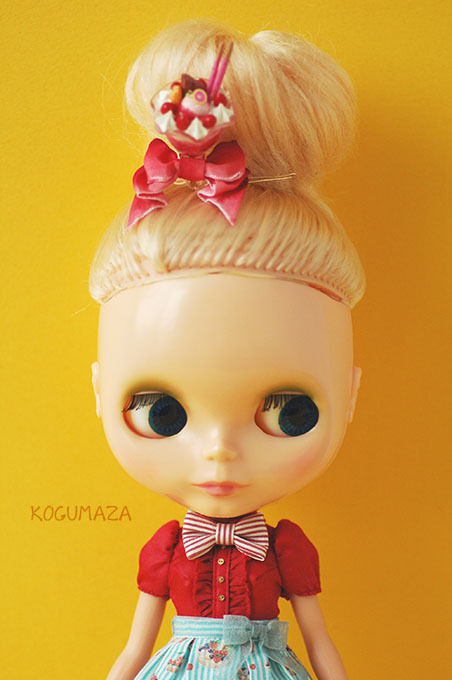 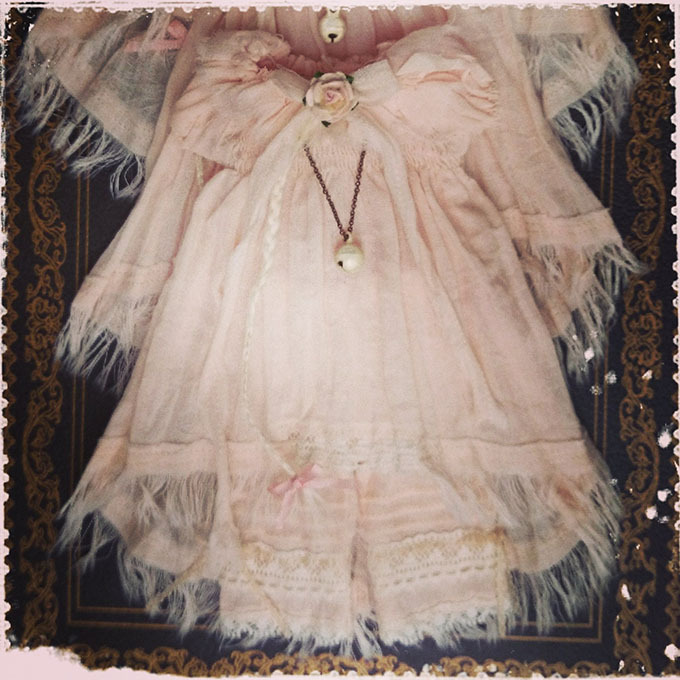 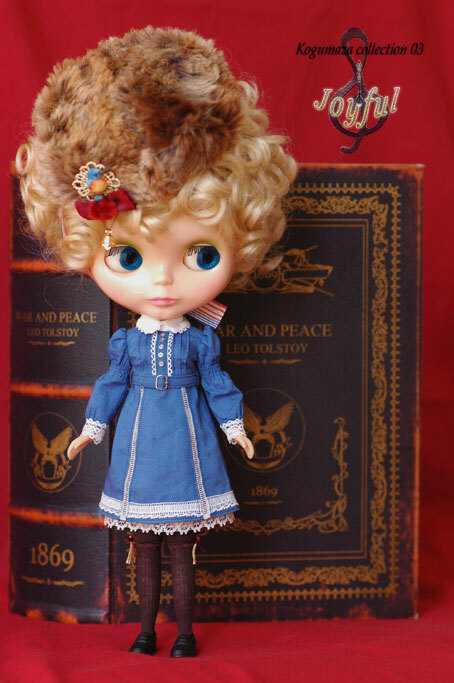 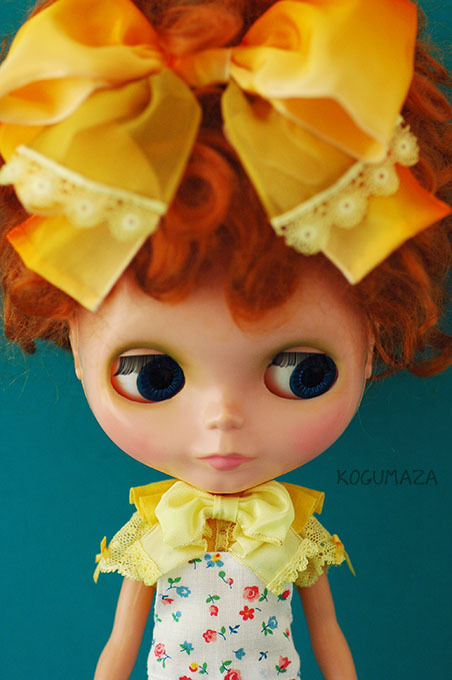 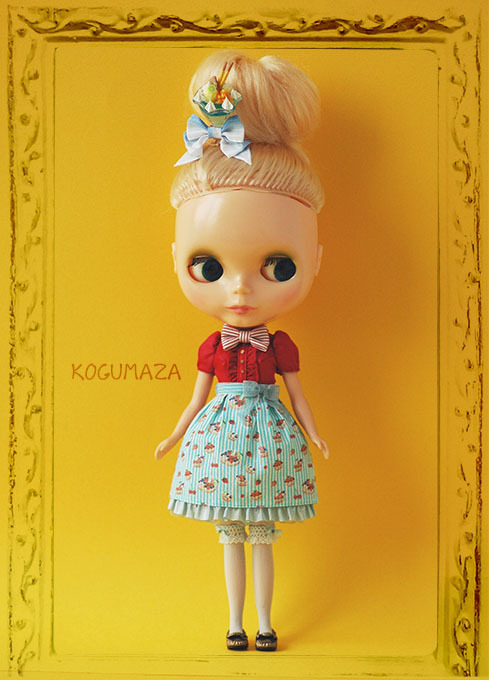 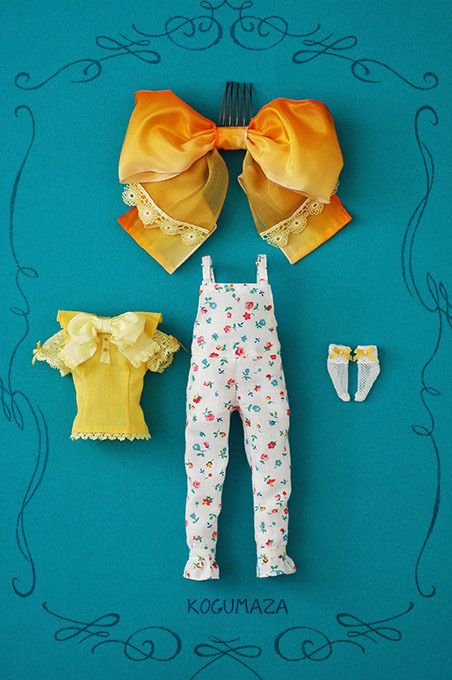 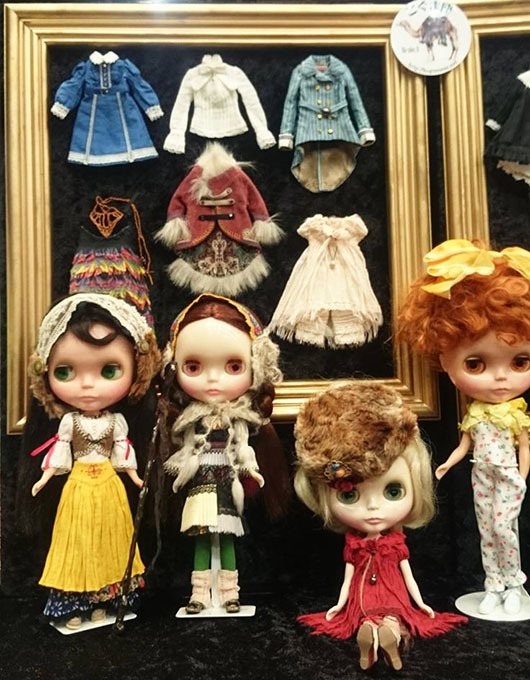 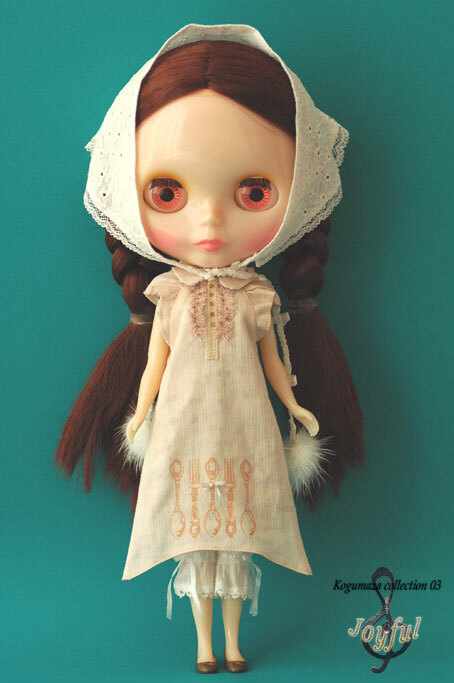 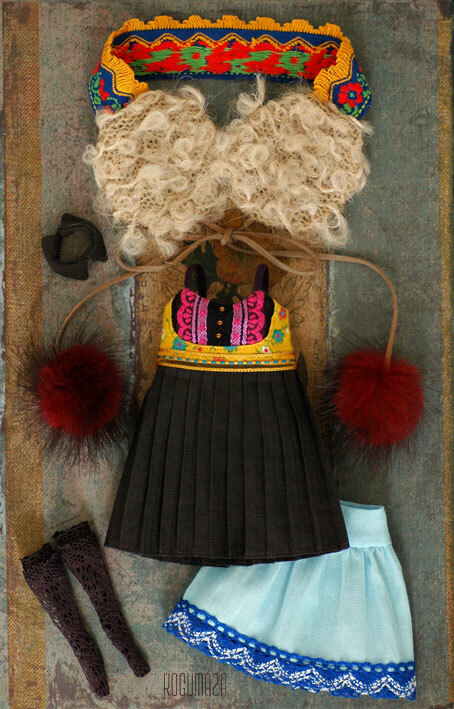 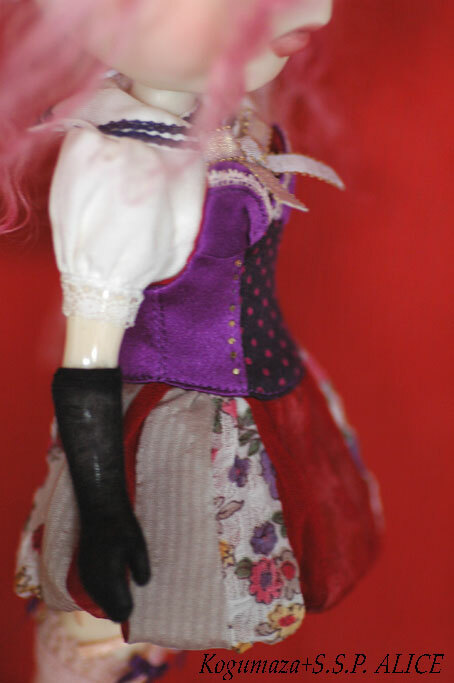 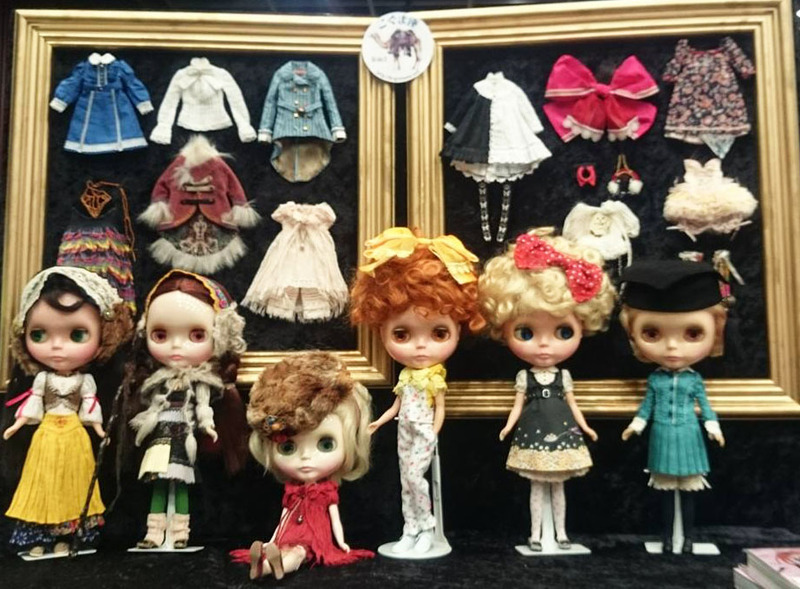 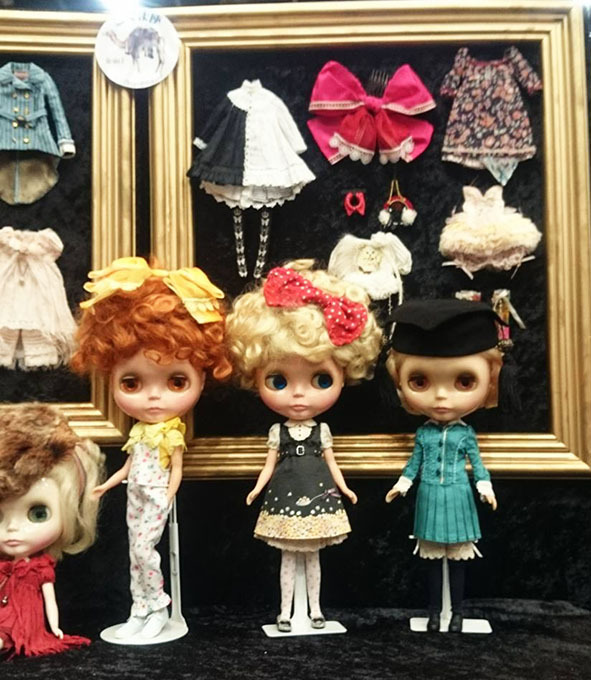 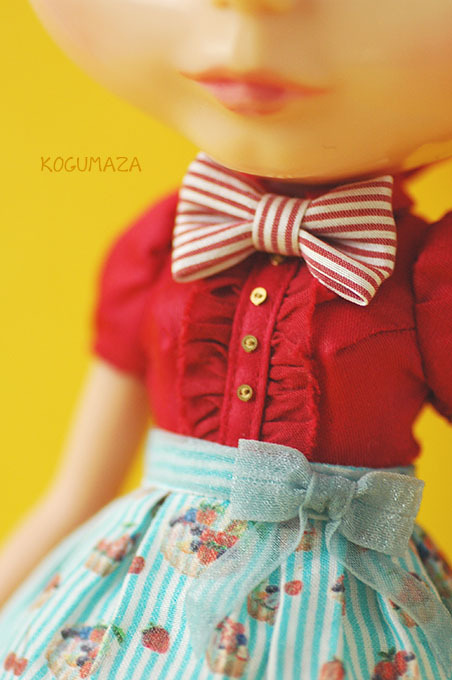 The details of clothes are same as momoko size. 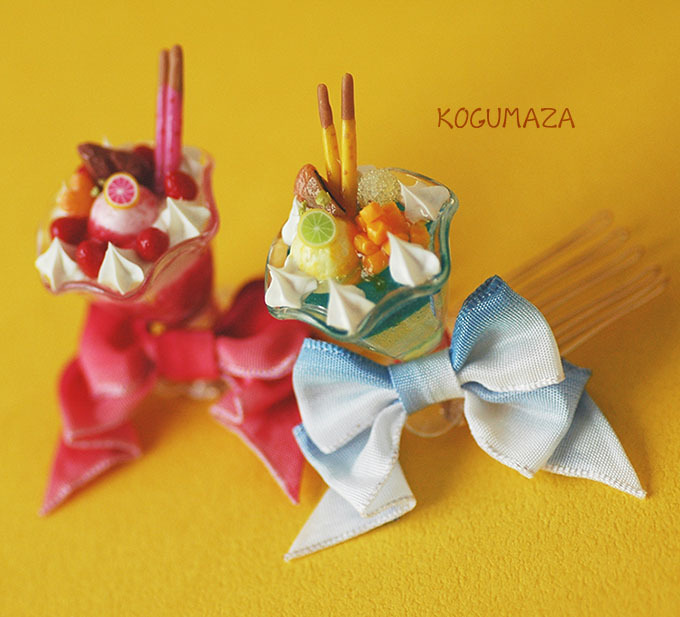 Soda mango parfait, Strawberry milk parfait. 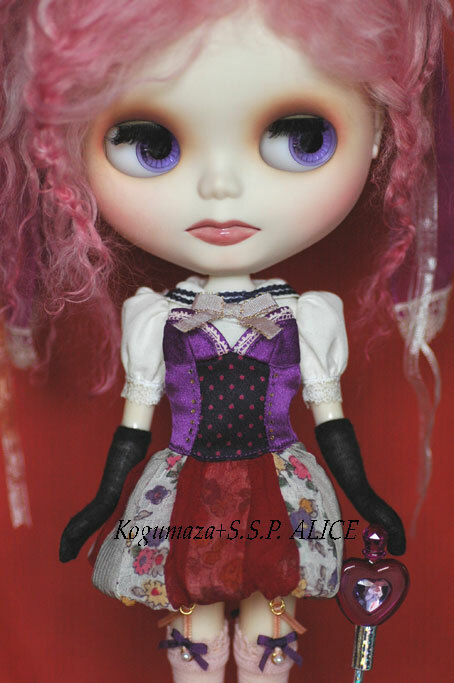 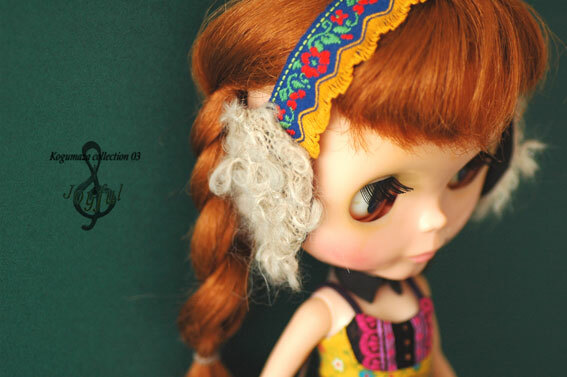 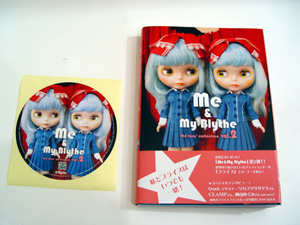 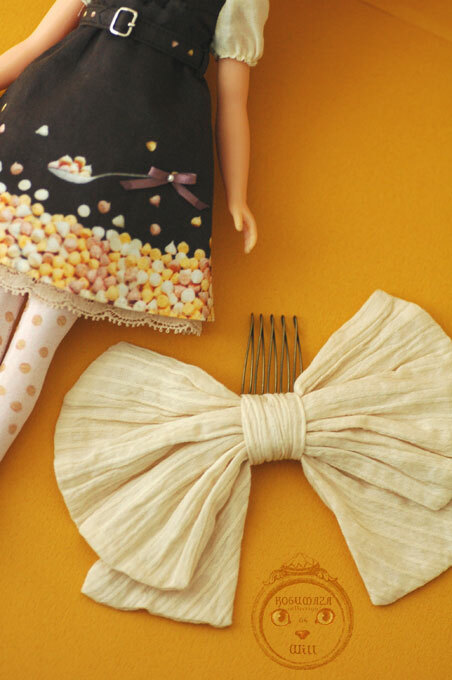 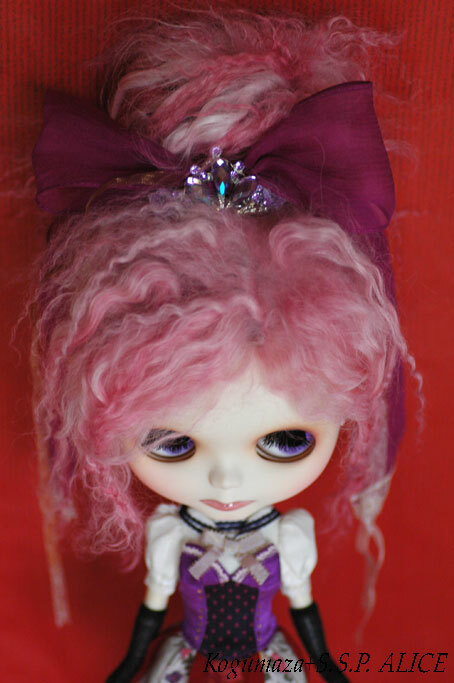 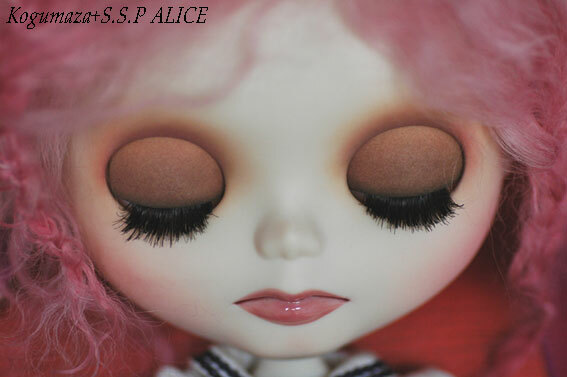 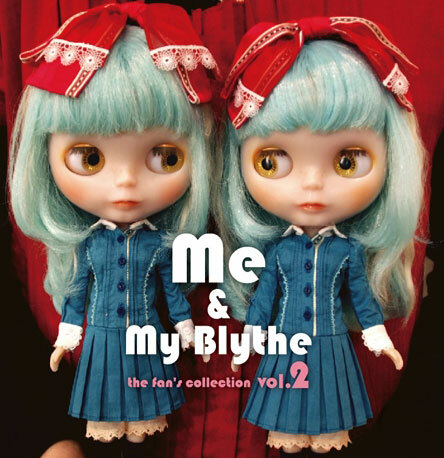 I made 1/6size parfait hair combs for Blythe.